Please join us as we remember Bob Janssen and celebrate Bob’s memory and passion for bicycling. Melissa and the girls will be participating along with some of Bob’s siblings. Remember that this is a moderate paced ride. Upon returning to the parking lot, we will have beverages and snacks. If you would like to make a donation to ALS, please bring a check or visit the web site als.org to make a donation indicating a memorial gift. 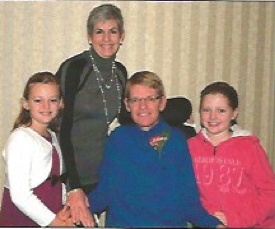 The organization was a monumental help to The Janssen Family and they appreciate your support.